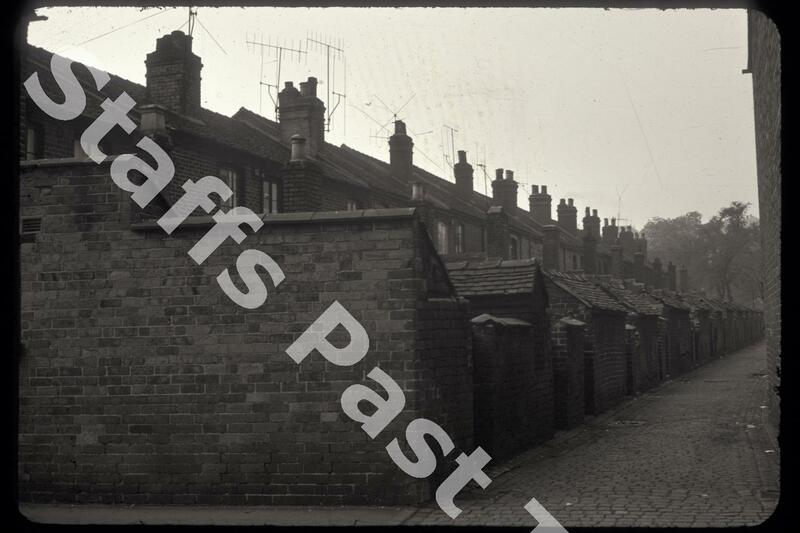 Description:The view from near the bank of the River Trent along the alley at the rear of Nursery Street in Boothen. The houses are byelaw terraced house, a type of dwelling built to comply with the 1875 Public Health Act, which required all byelaw terraced housing to have its own privy (outhouse). Many had no inside toilets, but had "privvies" in the back yard. 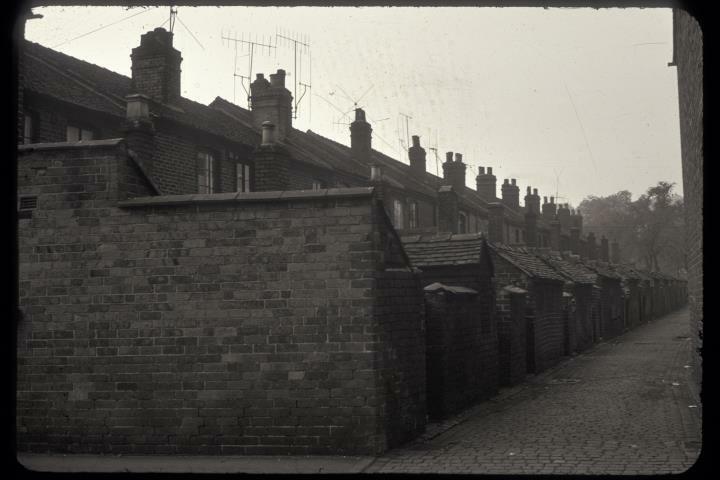 They were located in the small out-houses and the rows of these small structures was a common sight lining the back alley ways in-between the rows of terraced houses. A problem when building rows of houses was how to get access to the rear. The streets were built with alleyways between, giving access to the back yards of the houses. In some of the longer streets there were passageways through to the back from the street. These houses still stand today, although the outhouses have been replaced by extensions to the main building.